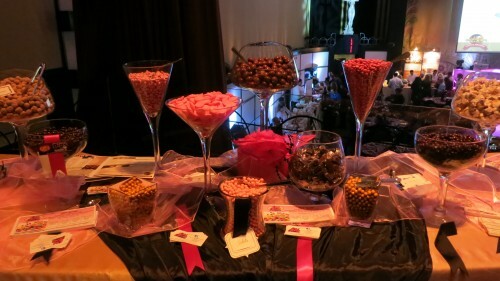 The Chocolate Ball was just as amazing as it sounds. 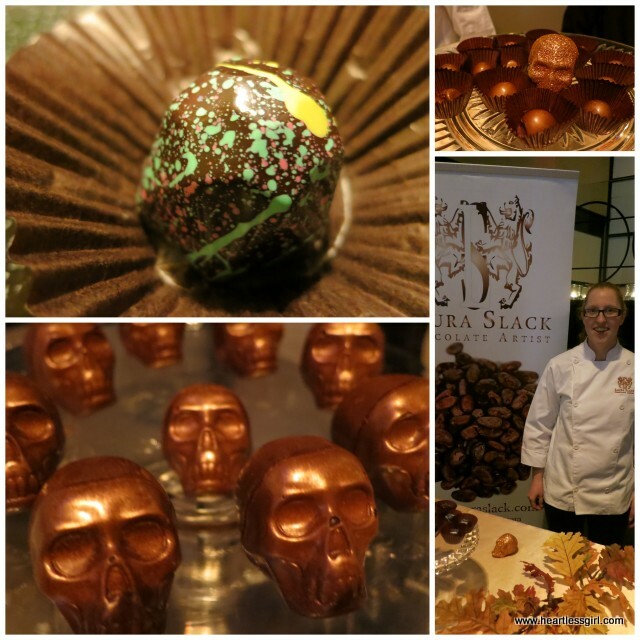 A ball dedicated to chocolate- could you ever go wrong? It’s especially awesome because the night the night supports prostate and breast cancer. The theme of the 8th annual chocolate ball was Cocoa Grande: A Salute to Movie, Music and Dance and it was held at the Eglinton Grande. Throughout the evening, there were performances by burlesque dancers, singers and a beautiful performance by the electric harp. Joanna Jordan performed complementary songs (like Coldplay) with her harp and it was beautiful. Chocolate wasn’t just for the desserts. All of the savory dishes included some aspect of chocolate. 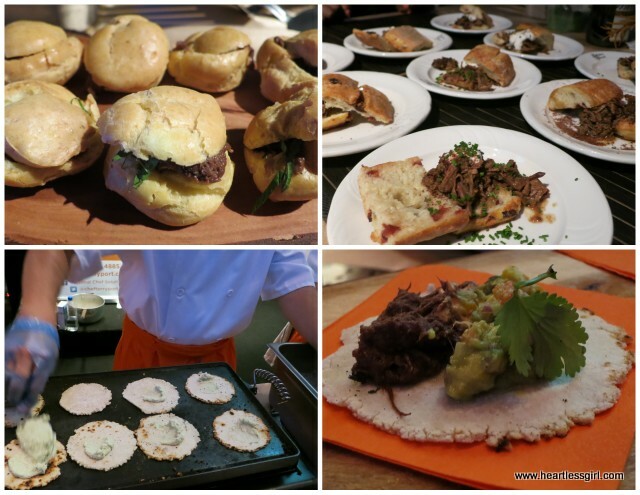 Some of my favourite dishes from the night were: hand made corn tortilla tacos with cumin and cocoa scented pulled pork, queso fresco and cilnatro from Chef Terry Port. Above those are Chocolate and curry braised lamb shanks stuffed in puff balls from the Chef Arts School of Ontario. Last but not least are Braised Beef terasamos with cocoad juniper rub and dark chocolate chipolte reduction. Then it was time for chocolate! There was a superb selection of chocolate. M Thompson Chocolates had a selection of chocolate bark, peanut butter, mint and ginger chocolate squares. Shoko Chocolates brought beautiful almond shaped chocolates filled with white chocolate, clementine, blood orange, key lime pie and more. In addition to chocolate, Mary McLeod’s Shortbread provided chocolate shortbread and La Rocca provided fancy chocolate cakes. My favourite chocolate artist was Laura Slack. 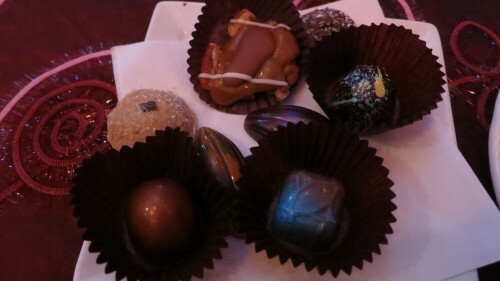 Each of Laura’s chocolate were like tiny works of art. She presented chocolate skull truffles dusted with gold, maple hand painted truffles with beautiful patterns and chocolate caramel. The skulls are filled with Dulche de Leche and encased in a hand painted skull. They were so good. I could’ve eaten 20! By the end of the evening I was pretty full, and suffering from chocolate overload. That makes it the perfect time to explore the non edible tables. Guests could buy a mystery bag, participate in a silent auction or dance away the evening with DJ FAZ. All in all, it was an amazing event! 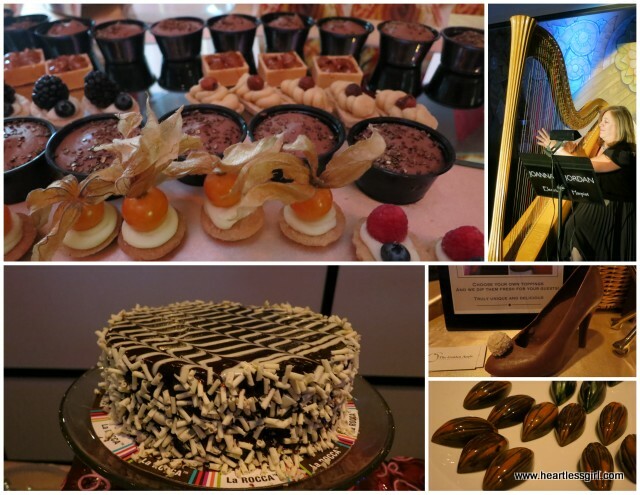 The Chocolate Ball is part of the Toronto Chocolate Festival .